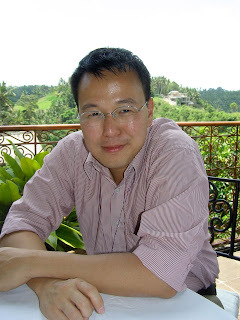 THE 10th MPH Breakfast Club for LitBloggers on Saturday, November 24, 2007, will feature Malaysian novelist Tan Twan Eng, whose first novel, The Gift of Rain (Myrmidon Press, 2007), was released in March 2007 and was longlisted for the 2007 Man Booker Prize for Fiction, as well as novelist D. Devika Bai, a retired schoolteacher who has published her first novel, The Flight of the Swans (Monsoon Books, 2005). 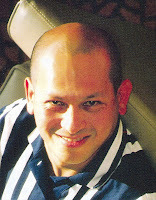 The 11th MPH Breakfast Club for LitBloggers on Saturday, January 26, 2008, will be featuring the Malaysian Prince of Darkness, Tunku Halim, whose collection of ghostly tales, 44 Cemetery Road: The Best of Tunku Halim (MPH Publishing, May 2007), was published in May 2007. Touted as Malaysia’s very own Stephen King, Halim, who is equally adept at both fiction and nonfiction, has another collection of new and selected stories out, Gravedigger’s Kiss: More of Tunku Halim (MPH Publishing, October 2007). Dark City (Midnight Press, 2006) author Xeus is back with Dark City 2 (Midnight Press, 2008), this time as the editor of a brand-new collection of more stories that exposes the murkiness that lurks beneath life’s apparent ordinariness. Besides doing editorial duties for this collection, I believe she has a story or two tucked into it as well. There are stories by Lydia Teh, Tunku Halim, John Ling, Bissme S., Jennifer Wan, Chua Kok Yee and a host of others as well.